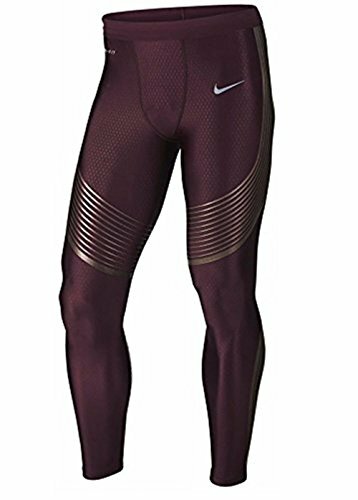 Nike Pro MEN'S NIKE DRI FIT POWER SPEED RUNNING TIGHTS. The Nike Power Speed Men's Running Tights are designed to encourage every move with a compression feel throughout and a screen-printed pattern that provides support to key muscles. So you can focus on how far and how fast you're going-not how long until you stop. Strategic screen-print supports key muscles. Fabric: Body: Dri-FIT 74% polyester/26% spandex. Pocket: 100% polyester. Gusset lining: Dri-FIT * * * 100% recycled polyester.